Hello Team Phoenix Sponsors and Friends! 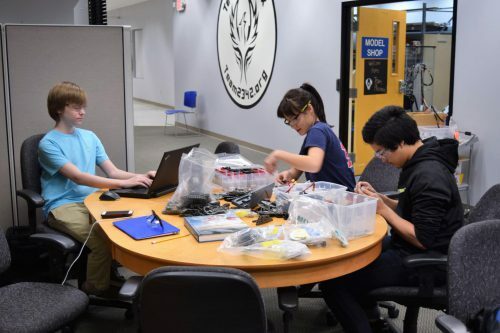 In order to better prepare both new and veteran students for the chaos and haste of the six week building period, our team has organized a week-long simulated build season. During Mini-Build, all the subteams, with the exception of business, collaborate to make a winch in just one week. Systems was essential in implementing SCRUM on the team. SCRUM is an organizational system in which tasks are ranked by how imperative they are as well as taking into consideration how long they would take. This system has allowed subteams to better organize themselves as well as be more efficient. Business has been working on grant writing and planning our end of year party, along with organizing our next SPARK seminar. 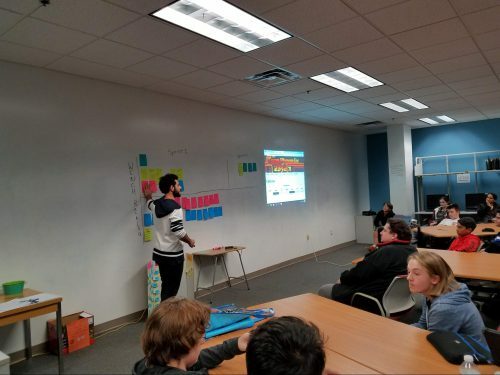 SPARK is a day where students at the Academy for Science and Design chose seminars from a wide variety of presenters—whether they be faculty or outside companies. 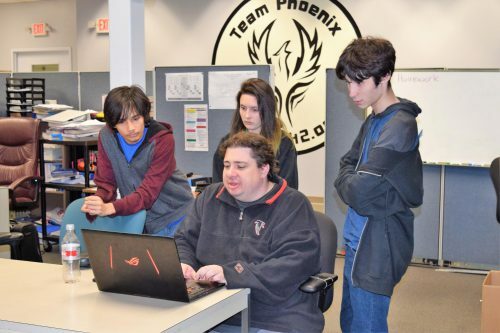 During SPARK, Team Phoenix talks about FIRST, gives a demonstration of the robot, and does a STEM-related activity. 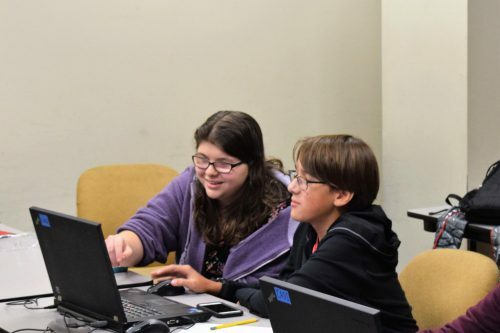 Our Computer Assisted Design (CAD) subteam is currently organizing themselves and their CAD library. Using the most up-to-date SolidWorks software, they have started designing the winch. Due to the nature of the winch and how complex it is, they have spent most of their time working on the winch model. The Fabrication Subteam has spent the Mini-Build period making the CAD designs into a reality. They have created each piece necessary for the structure of the winch. This is also great practice for new subteam members, as this is the first time they are creating a useful tool or device as opposed to practice objects. The Software Subteam has been focused on training their newest members. 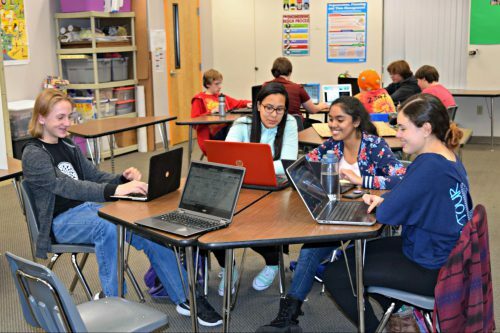 They have been working hard to master the programming language Java. This is their first opportunity to apply their knowledge in a similar way to which they will during the build season. 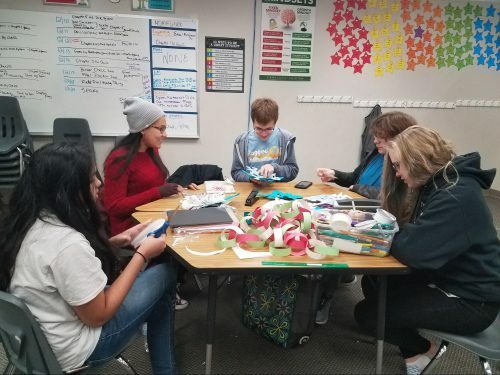 In addition, the returning members have been hard at work as well, experimenting with new techniques, such as pit loops. This Mini-Build season is their first chance to apply these as well. 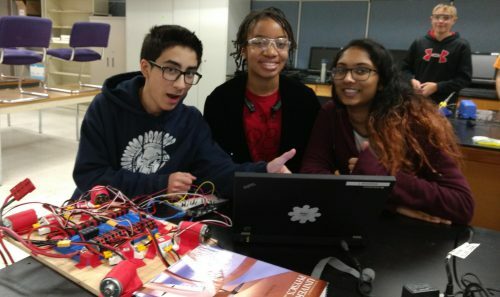 Our Electrical subteam has been building mini robots that move in order to train their new members on wiring, motors, and anything else that they may need to wire the actual robot come January. They’ve also trained with a few Arduinos, which means that they’ve done some coding as well. In regards to the winch, they have everything necessary to wire it. 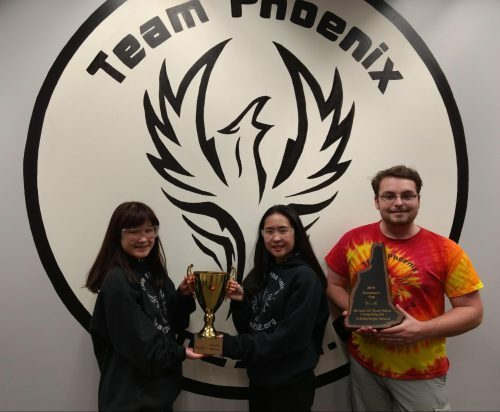 Team Phoenix has been thriving for the past 12 years now, and this year we plan to keep that trend going! RoboExpo is a yearly event that takes place during the preseason. 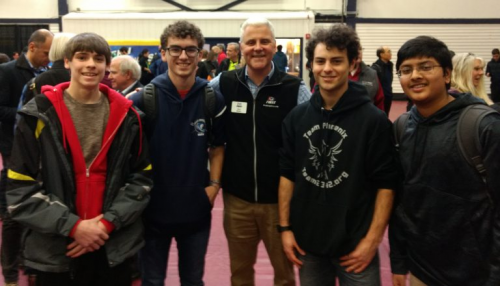 Located at Pheasant Lane Mall in Nashua, NH, five teams arrived to demonstrate their robots from last season in a non-competitive setting. Team Phoenix even let young kids in the mall pilot the robot to raise interest. Governor’s Cup is an optional, off-season event where new students can learn to drive robots in a competitive setting. Since the scores from this competition do not count towards the rest of the season, many teams opt to participate in this fun competition. This year, our team won two awards—the Gracious Professionalism Award, as well as an award for being part of the finalist alliance, which means our alliance came in second place. The systems subteam is essential to the success of our team. They are responsible for all of the behind-the- scenes work, including attendance and organizing a drive team. Systems is also in charge of cross- training, which allows each member of the team to receive experience in all of the subteams, instead of specializing in one. In the business subteam, students are respon- sible for everything, ranging from fundraising to designing art and animations. This year, the business subteam has fortunately gained more students than ever before. So far, students have been trained in grant writing, sponsor interactions, animation, and various types of art. We have big plans for the rest of the year in the ways of outreach, sponsorship, fundraising and are thrilled to have you take part. The Computer Aided Design (CAD) subteam, creates the digital models which Fabrication uses in the robot. 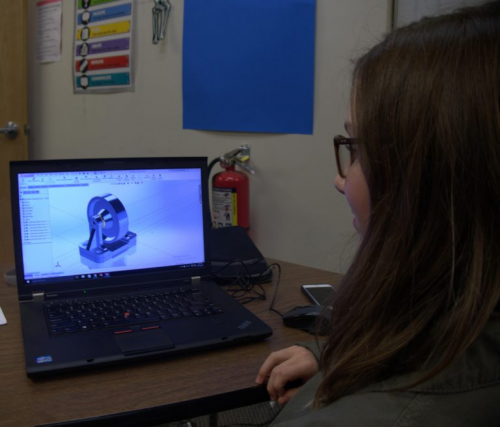 So far, the students on the CAD subteam have been learning the ins and outs of the SolidWorks tools they use for their models. As the preseason progresses, they will create more and more complex designs in preparation for the build season. CAD is the digital backbone of the team! Fabrication, a division of the mechanical sub- team, is in charge of taking CAD designs and molding them into physical objects using numerous machines in the workshop. 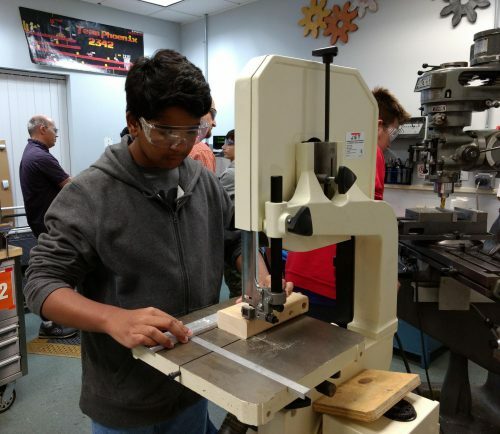 Throughout the preseason, the fabrication students will continue to learn how to operate the various power tools and will be working on mini projects, such as punching holes into blocks of metal. When build season arrives next spring, Fabrication will be the subteam that creates the foundation for our robot. The electrical subteam handles the wiring of the robot. 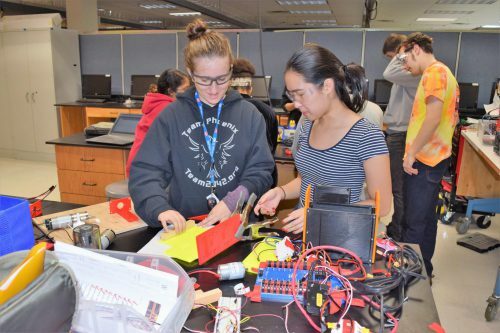 An increase in new members this year means that they have spent lots of time training in key components of electrical engineering, such as working with motors, batteries, soldering. So far, the coding subteam has updated the code from last year and stored it in the new servers that FIRST gave us. With this move, they also organized the previous code to make things more efficient this year. As of right now, they are testing the code to make sure that it still works. With an influx of new members (who already know Java), the Coding subteam is off to a good start this season. Thank you for supporting this wonderful opportunity for kids, and we hope that this beneficial relationship will continue to grow throughout the 2018-19 year.